It’s amazing how different reality looks when you look at it from above. It’s even more amazing how far people will go to have that perspective. Drones are not trending because of their cool tech. We’ve been dreaming of flying, probably since the moment we first laid eyes on something with wings. And that dream just kept on trending. Drone flying is an extraordinary experience. But it’s neither the easiest, nor the cheapest thing to do. Yet, constantly more and more people are getting into it. And even more are YouTube-searching it as we speak. 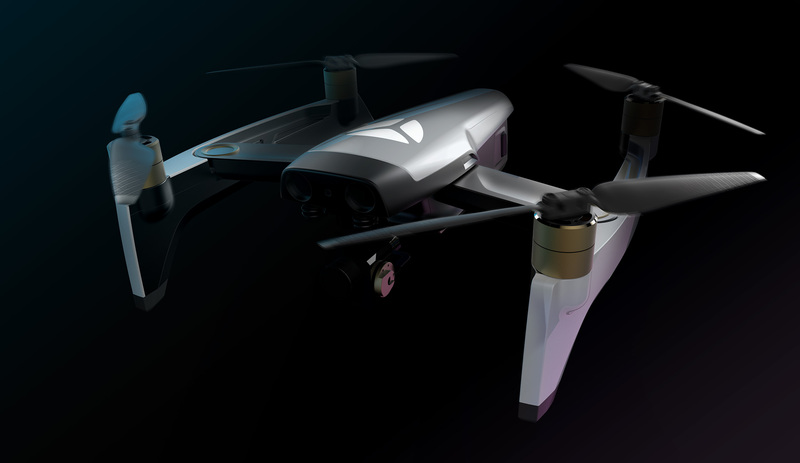 Yuneec is a company with 20 years of experience in flying, and deeply aware of the new generation of drones that is on the rise. Our challenge was to define this new generation’s dream drone, and design it. We worked closely with frequent and not-so-frequent flyers, trying to understand the reasons that draw them to drone flying, and the reasons why they can’t get enough of it. Once you find yourself in the droners’ shoes, you quickly realise that a mind-blowing flying experience which is worth sharing, has a lot to do with confidence. Designing the dream, was a pretty straightforward task. The challenge was to understand what the dream is really about. It’s about confidence in your skills and your equipment; not having to worry about things falling, breaking, getting lost, or dusty because they were too bulky to bring to the trip, the park or the beach. The solution we developed for the new generation of droners is a product that’s extremely easy to use and get used to. Equipped with a camera of a mouth-watering resolution, and an app that teaches you how to fly and lets you share what you see via social channels. This new generation drone is designed with features that will help its owner quickly gain skill and confidence. The technology and materials we built it with, make it safe, reliable, highly social and really good to look at. Yuneec is a company with 20 years of experience in humanity’s most persistent dream. Flying. An app that teaches you how to fly and how to get better.